(SPOT.ph) This year marked President Benigno Simeon "Noynoy" Aquino III’s third year in office. Once again, he delivered another State of the Nation Address (SONA) on Monday, July 22. While there were many people who were anticipating his speech, there were also those who were excited to see what politicians and their wives would wear to the event. Whether that’s tragic or just an inevitable occurrence (what with actors getting elected into office) is not quite clear right now. But, hey, we have to admit we got in on the red carpet fever. We’re all about brainless (and stylish) fun after all. 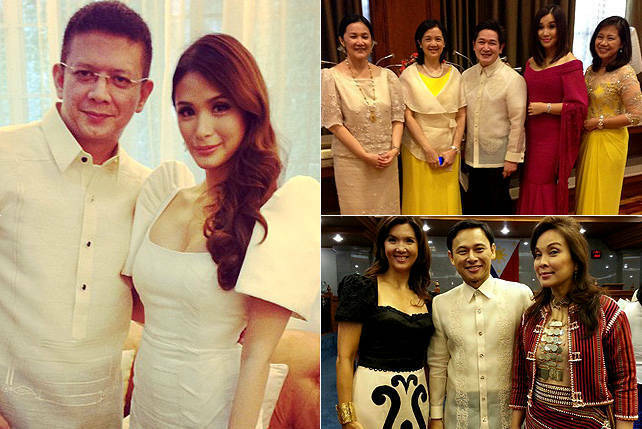 Check out some of the most fashionable SONA 2013 attendees in our gallery.